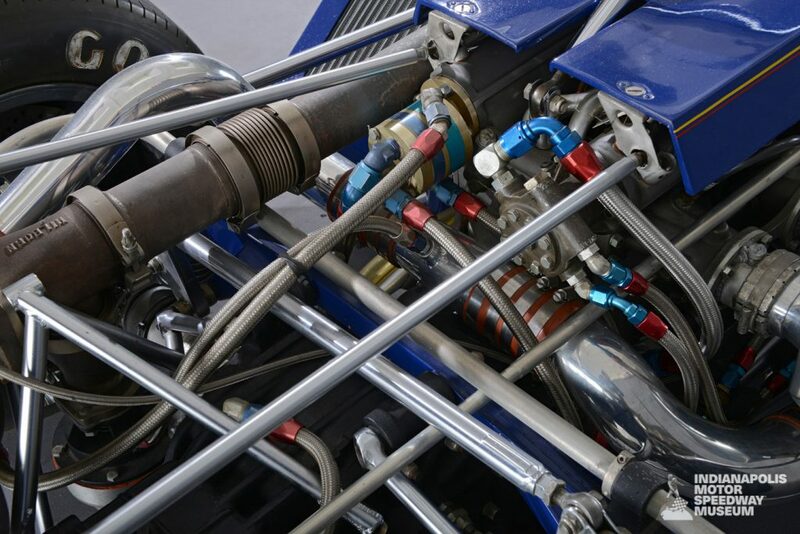 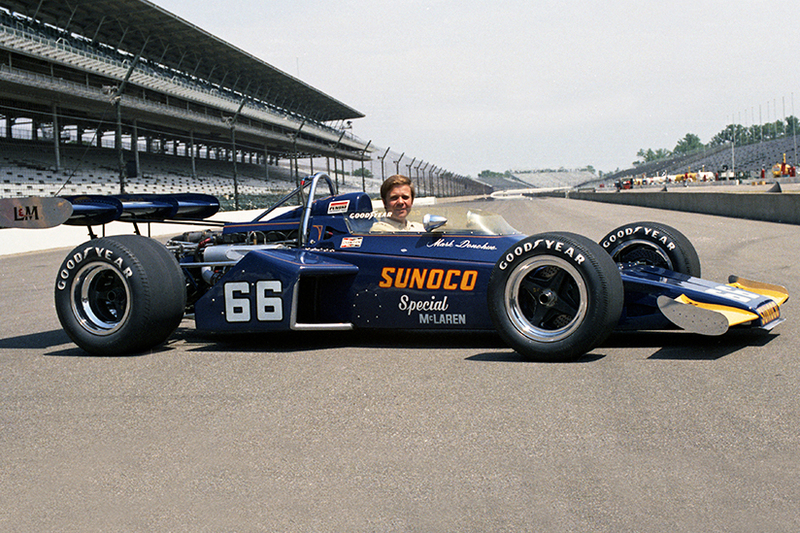 Roger Penske’s first “500” win came in 1972, when Mark Donohue triumphed with a McLaren M-16B, powered by a turbocharged Offenhauser engine. 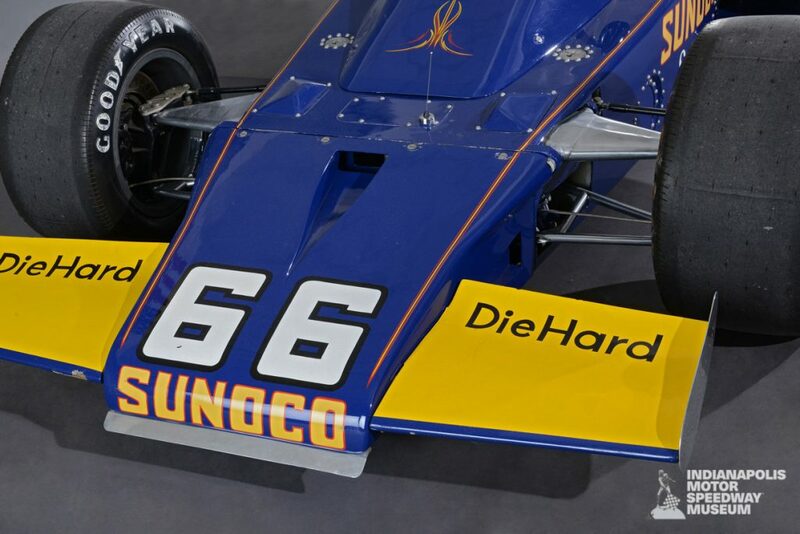 This was the first year in which “bolt-on” rear wings were permitted, and with very generous specifications allowed to begin with, the speeds skyrocketed, Bobby Unser raising the single-lap mark from 179 to 196 mph in just one year. 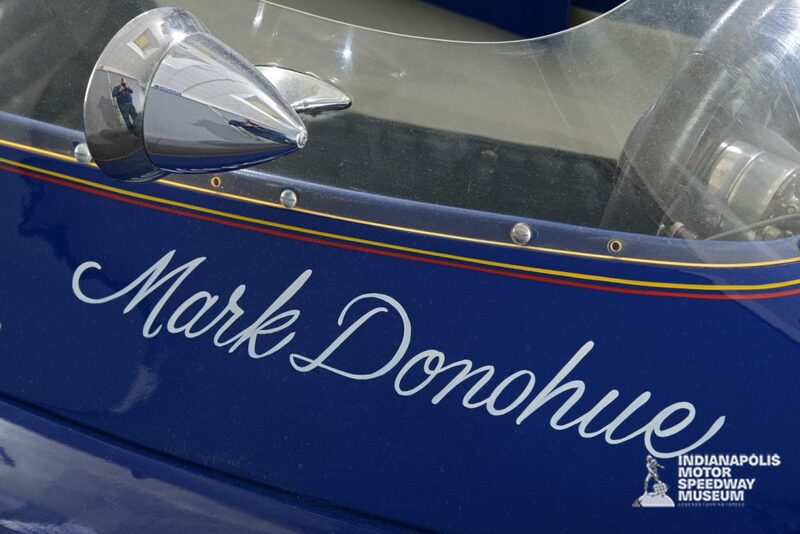 Donohue, who started third, qualified at 191.403 mph and he went on to establish a new record for 500 miles at 162.962, a speed which held up for 12 years.